Being able to take the party outside is one of the top reasons homeowners cite for deciding to add outdoor decking in some form or fashion. Maybe it’s a new covered deck to enjoy a cold beer with friends, or just lounge and talk while enjoying the breeze. For others, it’s a well-appointed outdoor dining room, where candlelit dinners add a special touch to an intimate gathering with friends. Or maybe it’s new or expanded pool decking, adding a fresh look to your swimming pool or outdoor spa, a comfortable place to recline with a good book or just watch the kids play. The opportunities are endless, and we’ll help you sort through all the options to create exactly the look you want with the functionality you require. We can help with everything from design ideas to practical advice, because we always stay abreast of the latest trends, products, finishes and more. Our goal is 100 percent satisfaction with the results of your outdoor decking addition. 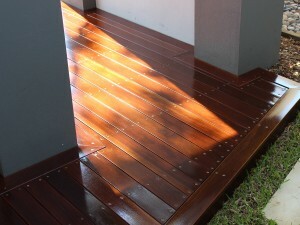 If you have ideas for enhancing your home with outdoor decking, you might be pleasantly surprised by the affordability. We have years of expertise working with a variety of decking products at a wide range of price points, so we have lots of options to help stretch your hard-earned money to build the project you want at a price that fits your budget. Most importantly, we take pride in never sacrificing quality for price, so whatever option you choose, you can look forward to an end result that features beautiful products and finishes with the highest quality craftsmanship. Does your home have a yard you can’t easily enjoy due to uneven or sharply sloping land? You could invest a lot of money attempting to rebuild it into a flat, grassy lawn, but it depends on your needs—you have more options than you might realize. Beautiful, wooden walkways, raised garden beds and other additions can add interest while making a “problem yard” easily navigable and infinitely more interesting. Another option is to add decking either low to the ground or up at the level of the home that can be used as a functional, attractive outdoor extension of the house. Not only will your new outdoor decking give you more space and inspiration to enjoy your home, but it’s also an investment that increases the value of your biggest asset. When it’s time to sell, beautiful, well-crafted home decking is a feature prospective buyers will always notice. When you trust us with your outdoor decking project, you’ll rest assured that you’re getting great value for your investment due to the longevity and easy maintenance of your decking.